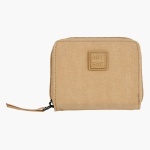 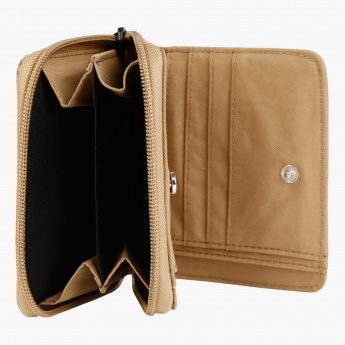 Stylish and elegant, this alluring wallet is a closet staple. 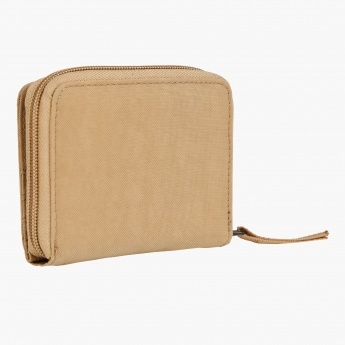 It comes with two sides having a zip around closure and press-stud flap opening adding to its convenience. The solid shade and signature branding at the front elevate its fashionable appeal.